Are townhouses the next to tip over into oversupply? 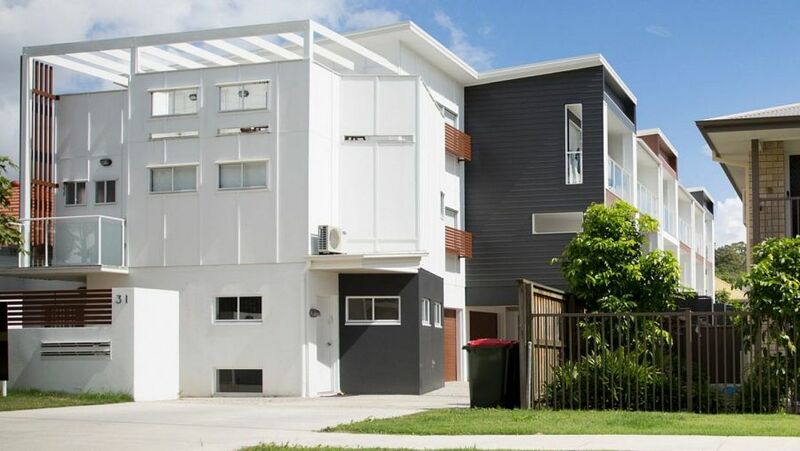 We all know that new units in some inner Brisbane suburbs have tipped into oversupply territory but could townhouses be the next dwelling to be “loved to death” by developers? Not likely, according to senior manager at BIS Shrapnel Angie Zigomanis, who said that unlike unit developments, which could squeeze hundreds of dwellings on to one site, townhouse developments were simply too small to become oversupplied. Hot Property Buyers Agency’s Zoran Solano has some concerns about townhouses in larger developments. He said valuations were falling short on some contracts because of supply issues. However, Mr Solano said that townhouses remained a solid investment option as long as buyers opted for properties in smaller boutique complexes closer to the city. “I use what I like to call the ’10 and 10′ rule for townhouses,” he said. The unit oversupply had affected townhouses a different way though. Mr Zigomanis said with so much supply, the price of buying and renting new units had become more attractive and created more competition for townhouses. “It’s not as susceptible to oversupply but there is still a relationship between that and the apartment market,” he said. “The risk is in the current market, because if I’m looking for a two-bedroom property I’m sure I can get a much better, attractive rent right in the city in an apartment. Mr Zigomanis said excess new unit supply townhouses were more likely to be impacted by the unit oversupply than detached houses. Some pockets of Brisbane could experience some temporary oversupply of townhouses, he said, but the paucity of affordable sizeable land close to the city meant that it wasn’t a concern at present. In fact, the future of townhouses in Brisbane was an “unanswered question”, because no one knows what Generation Y will do once they get older, he said. He said it was unlikely they would partner up and move to the outskirts of the city to raise a family. “The next question is, can they find a middle suburb that’s still relatively affordable for them or will the townhouse be the happy medium between price, location, distance from the city and work, as well as the action of the CBD? “I think there will be rising demand for it,” Mr Zigomanis said.